On 19th March AIMPE filed a submission with the Senate Rural and Regional Affairs and Transport References Committee Inquiry into the policy, regulatory, taxation, administrative and funding priorities for Australian shipping. The ATSB to become the single national marine incident investigator. 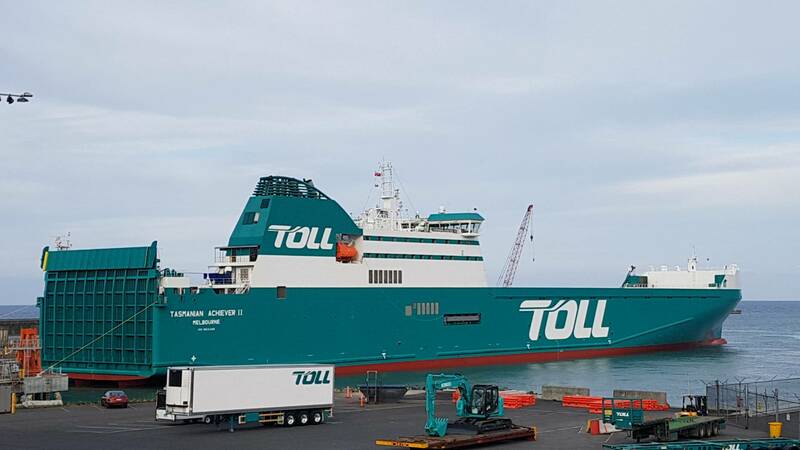 Toll Shipping has introduced two new purpose-built ro-ro ships for the Bass Strait trade in recent weeks. This is a terrific vote of confidence in the Tasmanian trade and a wonderful boost to the Australian maritime industry. The Tasmanian Achiever II was welcomed by a cheering crowd of around 1,000 people at the naming ceremony in Burnie on Sunday 17th February. In a sign of the political significance of the ceremony, Prime Minister Hon Scott Morrison and Tasmanian Premier Hon Will Hodgman were both in attendance for the naming together with senior representatives of the owners of Toll – Japan Post. 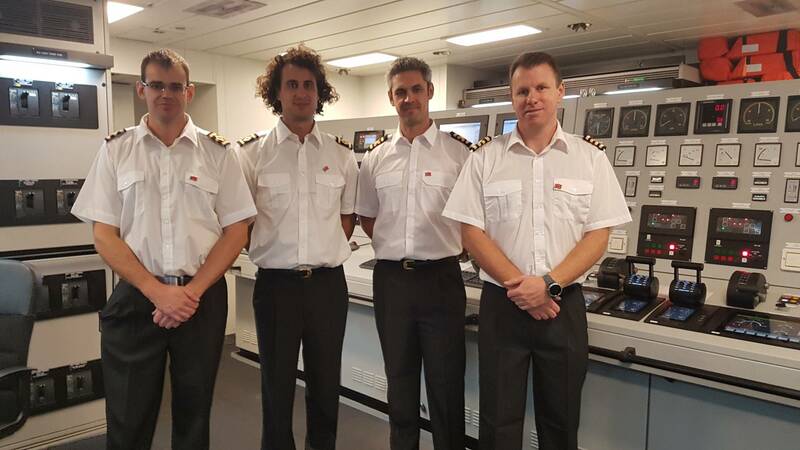 Left: AIMPE members on Tasmanian Achiever II on naming day - Mani Silva 2/E, Josh Azzopardi 3/E, C/E Adam Hanson and 1/E Adam Oxley. The Victorian Reliance II was officially named in Port Melbourne on Sunday 24th February. 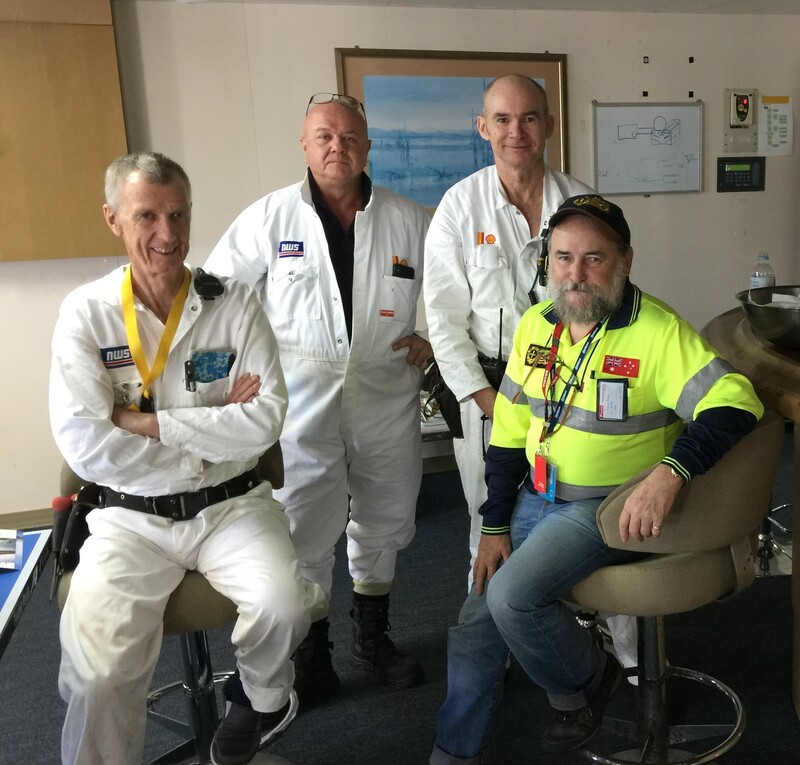 Above: AIMPE members on Victorian Reliance II on naming day - Kepler Hanson 3/E, Jason Martin Project Eng, Ive Mardesic 1/E, David Stoppa C/E and Paul Atwell 2/E. Federal Opposition Leader Hon Bill Shorten was the guest of honour. The twin ships commenced operations on 1st March. Above: Tasmanian Achiever II alongside in Burnie ahead of the naming day ceremony on 17th February. Right: Victorian Reliance II in Port Melbourne prior to naming day. Toll and Japan Post have shown great faith in the future of the Bass Strait trade by making the over $170 million investment in the Tasmanian Achiever II and sister ship Victorian Reliance II. Almost $140 million has also been invested in upgrading the shore-side infrastructure to accommodate the larger ships and maximise the greater loading capability. Hearty congratulations are due to Toll and Japan Post for this enormous commitment to the future. BHP on 10th January 2019 advised the maritime unions that it is dumping the last two Australian-crewed ships that carry iron ore from Port Hedland in Western Australia to the steelworks in Port Kembla - Mariloula and Lowlands Brilliance. The 70+ Australian officers and seafarers will all lose their jobs but BHP will use foreign crews on foreign ships to carry the same product between the same ports. On board Mariloula Glen Anderson(AMOU) Alexey Condratov C/E, Nick McKenna 3/E, Sam Littlewood AIMPE and Ramkumar Sivanandam 1/E. These companies have no financial reason to return these ships and dump these 70 mariners on the beach. 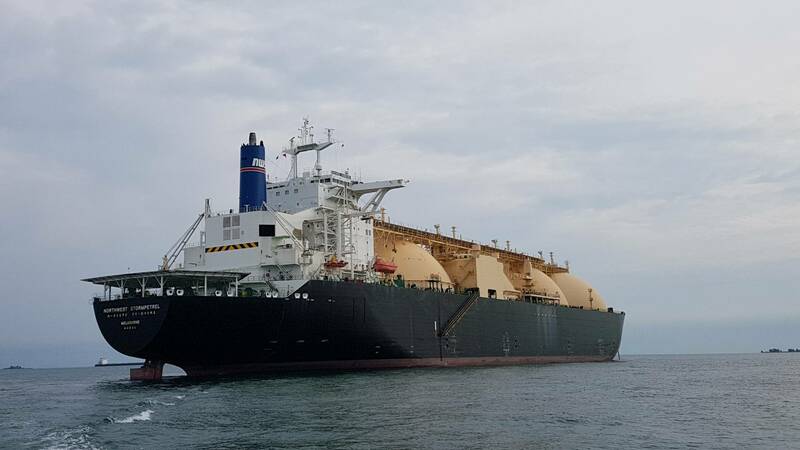 The Arbitrator for the North West Shelf COA issued an interim decision on 10th December which should ensure that the employment of Australian seafarers on the 4 LNG Tankers is able to continue for another 5 years. The NWSSSCo gave notice in 2017 that it intended to commence to reduce the fleet from 2019 because the reserves of gas controlled by the NWS Joint Venture partners are declining. Since then AIMPE and the other unions have been working to ensure that if the fleet is reduced then Australian crews should be employed until it gets down to the last four ships. The recent decision comes after an Arbitration hearing in Sydney on 7th December where AIMPE and AMOU made joint submissions in support of the dispute filed by the CFMMEU. The outcome was a great Christmas present for all of the Australian seafarers employed on the gas buggies. With one Australian flag tanker due to depart in 2019 it will now be necessary for a quarter of the Trident employees to transfer to another tanker. This will be the subject of further discussions. The AIMPE Federal Executive has authorised all continuing efforts to retain the maximum Australian employment for the greatest possible length of time. Above: Northwest Stormpetrel at anchor off Singapore, October 2018. 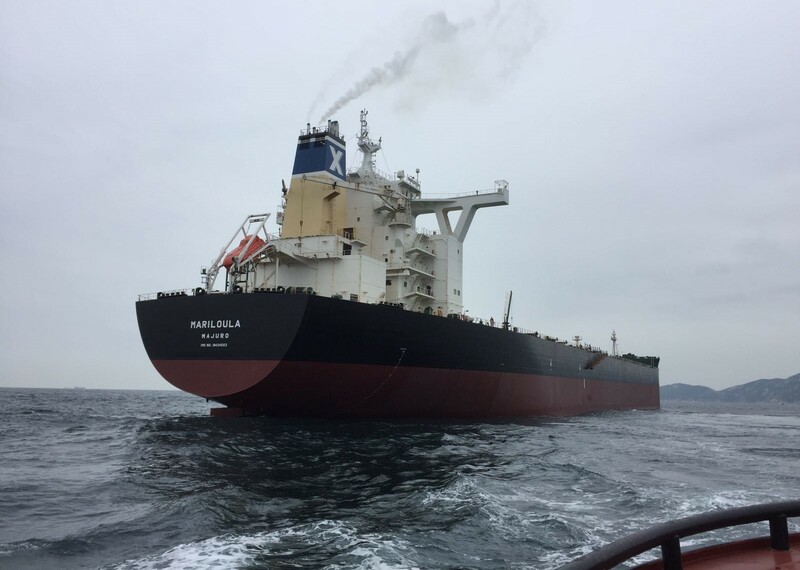 During the Christmas New Year period AIMPE officials visited the LNG Tankers Northwest Sandpiper and the Northwest Stormpetrel to report back directly to the members affected about the outcomes of the decision of the Arbitrator. The feedback received was very positive – members are pleased to have the opportunity to continue working on the gas buggies until 2024. Left: Northwest Sandpiper members Ross Shilton 3/E, Tim Hardy C/E, Mick Lonergan 1/E and Martin Byrne, AIMPE. Further discussions with the NWSSSCo were held on 16th January following the direction of the Arbitrator. Northwest Stormpetrel is due to be withdrawn by June 2019 and the crews transferred to Northwest Seaeagle or Northwest Shearwater. Trident LNG is concerned about the possible lack of qualified Deck and Engineer officers over the next few years. AIMPE has responded that there are very many experienced and qualified engineers who have been made redundant over the last 5 years who could be re-employed with a little investment in training. The Deputy Prime Minister and Minister for Infrastructure, Transport and Regional Development Mr Michael McCormack has re-appointed AIMPE's Peter Toohey to the AMSA Board. The appointment is for three years and is a second term for Peter on the AMSA Board. Congratulations to Peter on his re-appointment. 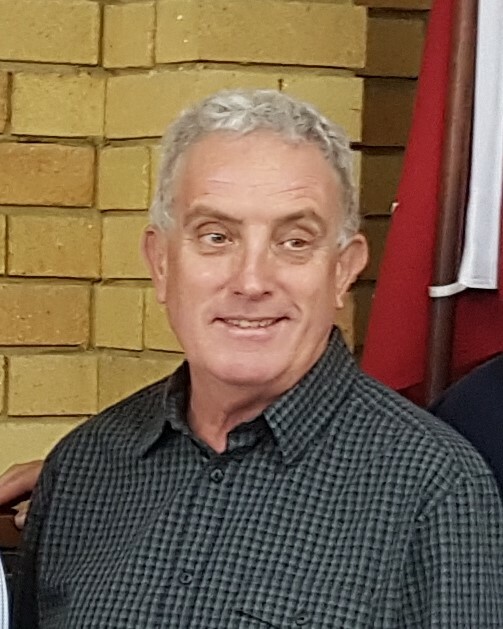 Mr Toohey brings considerable experience of maritime salvage operations and is currently Chief Engineer of Brisbane Tugs for Svitzer Australia and Secretary of the Queensland Branch of the Australian Institute of Marine and Power Engineers. 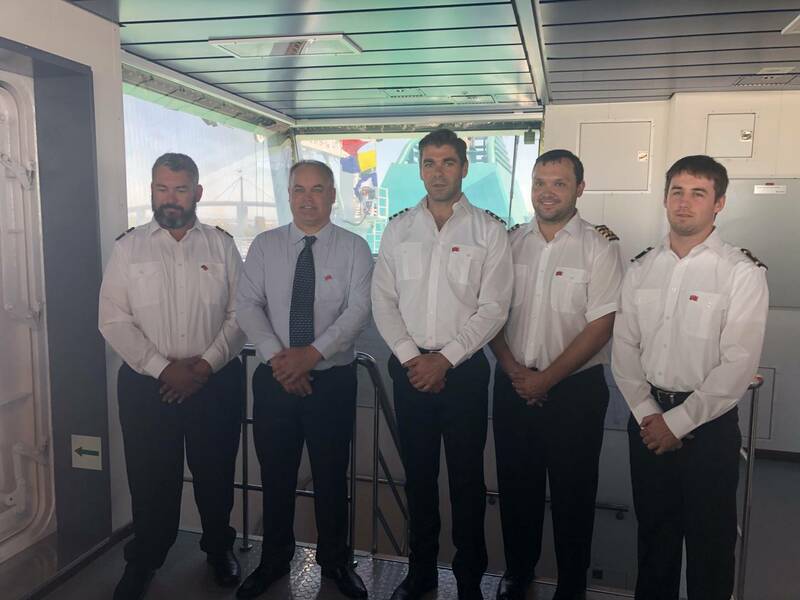 Deputy Prime Minister and Minister for Infrastructure, Transport and Regional Development Michael McCormack said AMSA performed a critical role protecting the nation’s marine environment while supporting safe navigation and marine safety. Mr McCormack said AMSA also provides a national search and rescue service, and represents Australia at the International Maritime Organization. “The appointments of Dr Rosalie Balkin AO and Mr Tony Briggs, as well as the reappointment of Mr Peter Toohey, will ensure the AMSA Board has the knowledge, skills and experience to support its ongoing successful management of strategic maritime priorities,” Mr McCormack said. Mr McCormack said Mr Briggs and Mr Toohey both bring substantial experience across different sectors of Australia’s domestic commercial vessel industries, which is an important advancement for the AMSA Board which is now solely responsible for regulating the safety of such vessels. He said having also held various academic posts, Dr Balkin will bring considerable knowledge to the AMSA Board of several areas of the law, including maritime law. “I am sure Dr Balkin, Mr Briggs and Mr Toohey will provide invaluable contributions to the AMSA Board throughout their three-year terms, helping maintain Australia’s maritime safety and environmental protection capabilities in line with international best practice,” Mr McCormack said. AMSA Chair Stuart Richey AM said he is delighted to welcome Dr Balkin and Mr Briggs to the AMSA Board and Mr Toohey’s return. “These appointments add to the Board’s capabilities with significant expertise in maritime law and the operation of domestic commercial vessels to support our priorities such as the National System for Domestic Commercial Vessel Safety,” he said. The Seafarers Section Conference of the ITF Congress on 15th October received a briefing on automation from two representatives of the World Maritime University [an IMO backed institution in Malmo, Sweden]. This is not a report from a technology company seeking to publicise its latest product development. It is a level headed analysis of what actually might happen and the time frame over which it may take place. In short WMU is forecasting that it will take a very long time to before there are significant numbers of highly automated ships. WMU also argue that high skilled positions such as Ship Engineers are the least likely to be displaced by automation. However the WMU also postulate that the first sectors which are likely to introduce highly automated ships are in high cost countries [because the ship owners are likely to have the greatest potential economic benefit]. Federal Opposition Leader Mr Bill Shorten attended the AIMPE Federal Executive meeting in Melbourne on 9th October. The discussion centred on the urgent need for strengthening of Australia’s cabotage laws. 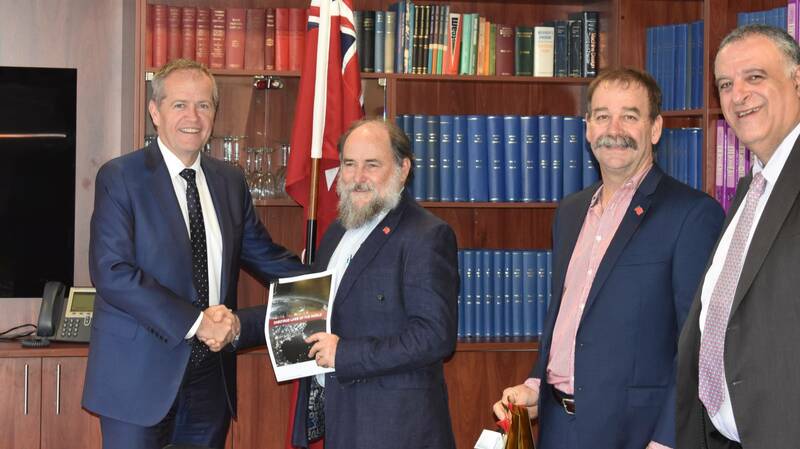 AIMPE Federal President Martin Byrne presented a copy of the ITF/SRI Cabotage Report to Bill Shorten. AIMPE Federal President Martin Byrne has welcomed the release of a new independent report on cabotage laws in countries around the world. The report was commissioned by the International Transport Workers Federation (ITF) and was conducted by the research organisation Seafarers Rights International. “AIMPE has opposed the watering down of Australia’s cabotage laws by the Federal Government and has instead called for a strengthening of cabotage in Australia” said Mr Byrne. “Over the last 6 years Australia has seen the complete demise of our coastal tanker fleet and a further contraction in Australian flag dry bulk ships. Australia now has only 10 Australian flag ships over 2,000 dwt operating with a General Licence under the Coastal Trading (Revitalising Australian Shipping) Act 2012." 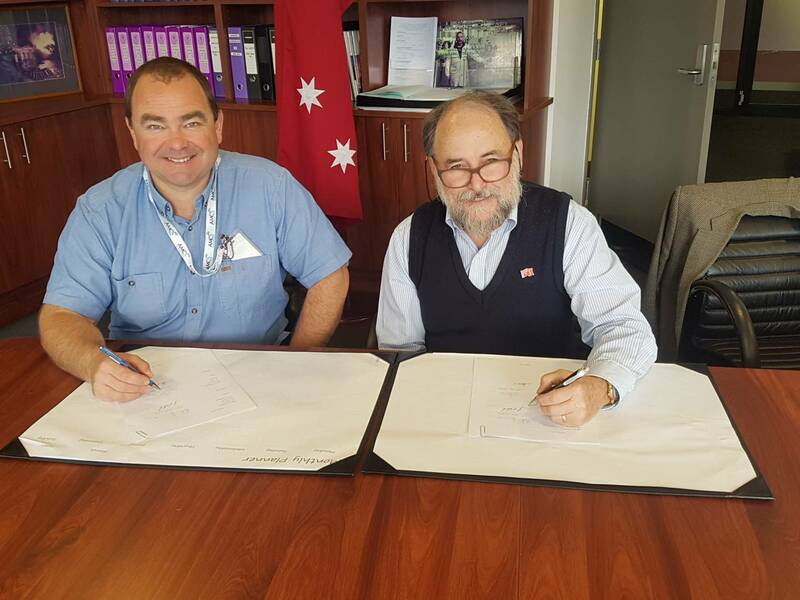 "AIMPE and the AMOU, under the banner of the Nautilus Federation of Australia, have agreed to campaign in support of strenthening Australia's cabotage regime and will be working together on this issue over coming months." world’s coastlines of UN Maritime States. 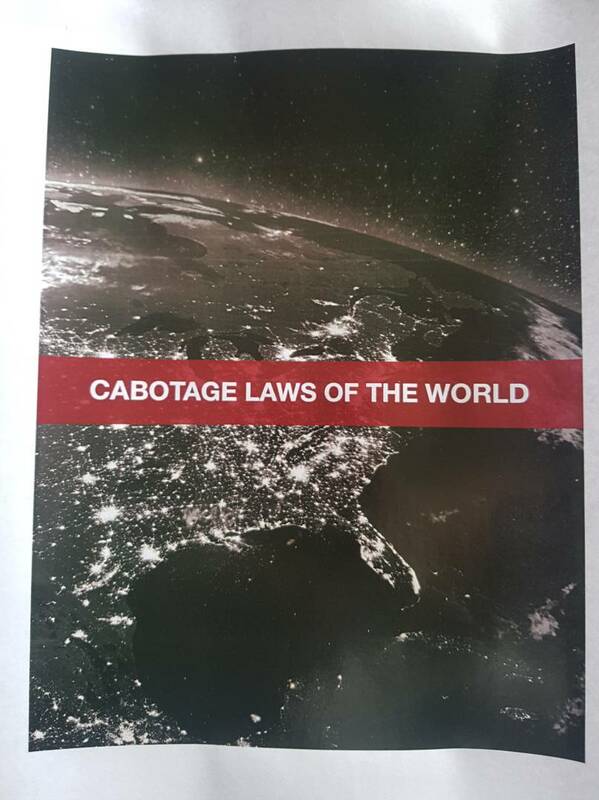 • Cabotage exists across all political, economic and legal systems. • Cabotage laws have endured for centuries, but continue to evolve. international law. Regional and national definitions of cabotage vary widely. The Nautilus Federation of Australia has taken another step forward as senior officials of the Australian Institute of Marine and Power Engineers and the Australian Maritime Officers Union met in AIMPE offices in Melbourne on Monday 25th June. AMOU Executive Director Mark Davis. Top on the list of matters for discussion is office sharing for the two unions’ operations around Australia. The officials have set target dates for relocations in Sydney, Melbourne and Fremantle which will see both unions operating from the same address in each of these three ports. The moves will provide cost savings for both unions and is also intended to provide for closer integration of working relations between the two officer unions. A revised Memorandum of Understanding was signed by AMOU President, Capt. Tim Higgs and AIMPE Federal President Mr. Martin Byrne which deals with the relocations and with possible further co-location arrangements in Brisbane, Newcastle and other ports. 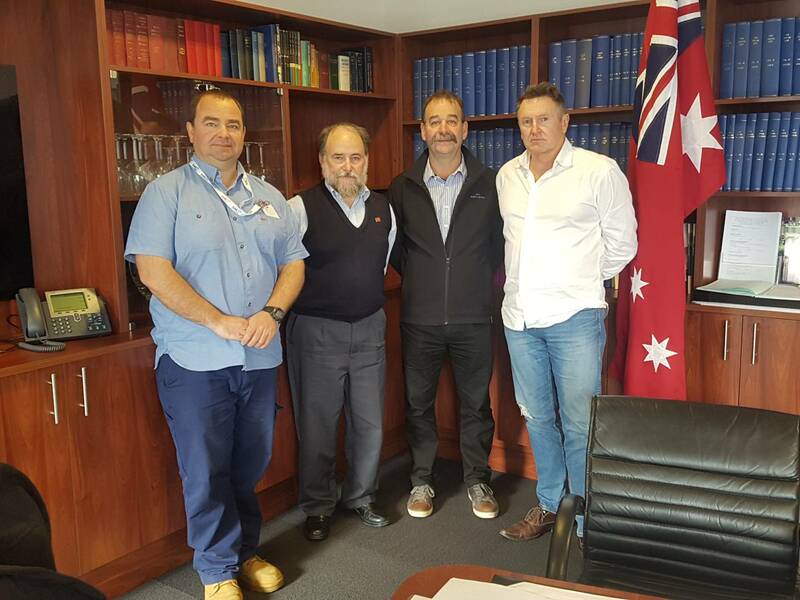 The Nautilus Federation of Australia has also discussed opportunities for joint campaigning on key issues relating to the interests of Australian Deck and Engineer Officers. Sharing space in the WA union rooms. The AMOU in Western Australia is refurbishing its Fremantle premises. Whilst this occurs the AMOU will share the Institute's Stock Road Palmyra premises; beginning on Monday 26 March for expected duration of five weeks. - questions safety of Autonomous Shipping. Keith Bailey spent 36 years in the Australian Navy and rose to the rank of commander, but his service to the country came at great personal cost. The Navy has conceded it left him with Parkinson's disease as a result of exposure to the industrial solvent trichloroethylene, or TCE. 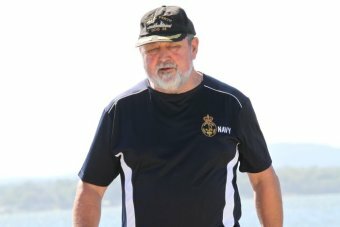 "When I joined the Navy in '67 I didn't have Parkinson's, and when I left in 2003 I did have Parkinson's," Mr Bailey said. "So whatever it was that caused Parkinson's happened on their watch." In 2016 the Department of Veterans' Affairs formally recognised exposure to TCE as a cause of Parkinson's. Mr Bailey believed he was the first Australian veteran to have such a claim approved. "If you had 2,000 hours' exposure to trichloroethylene, there was a reasonable hypothesis that your Parkinson's was caused by trichloroethylene," he said. Mr Bailey said TCE was in an ingredient in a metal cleaner called Turco Solv, which he used on ships to clean motor parts. "The workshop was down a few decks, so it was enclosed," he said. "When you stripped a motor you got it all over your overalls. You'd be working 10- to 12-hour days. "When you finished your day you had the grease all over you. You'd wash yourself down in Turco Solv, so you'd use it to get the grease off your body as well." Diamond Offshore, BHP & EXPRO have a run-in with NOPSEMA. We should all be relieved Diamond Offshore’s Ocean Monarch drilling rigabout 9km off City Beach is between jobs. The offshore oil and gas safety regulator NOPSEMA has come down hard on Diamond Offshore for venting gas to areas where it put workers at risk while working to abandon wells at BHP’s Griffin oil field mid last year. After the first occurrence in June, “no actions were taken to stop work and re-assess the risk”, and the dangerous venting was repeated during at least three more well abandonments. Diamond did make some changes to the equipment after the first well, but there was “inadequate management of modifications of safety critical equipment”. EXPRO, which handled the well fluid for BHP, was also bought to task. BHP, which was in control, did not escape the regulator’s wrath. Its people also failed to stop the work and, after finding deficiencies in the testing of EXPRO’s equipment, did nothing about it. Diamond and EXPRO were issued improvement notices by NOPSEMA last month after the regulator finished its inquiries. BHP senior management has to front up and explain to NOPSEMA how they have changed their ways. The Bull understands the Ocean Monarch will be towed away next month for work in the Bass Strait for Cooper Energy. Let’s hope all is safe this time. It has been brought to AIMPE's attention that Hunter TAFE has pulled down Marine Engineering courses from its website, without so much as a courtesy call to your Institute to explain why. Disturbingly, only Deck Officer Training remains. Your AIMPE understands the courses are still being run but, inexplicably, all advertising has been removed.